A South African legume that has been used as a traditional medicine for a variety of ailments including fever, chicken pox, flu, rheumatism, hemorrhoids, diarrhea and stomach and liver problems. 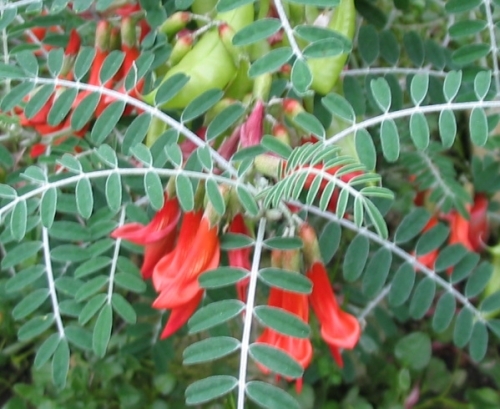 As its common name suggests, this species has a reputation as a cure for cancer as well as for treating the symptoms of HIV/AIDS. Common name: Balloon Pea; Duck Plant; Kankerbos; Gansies.